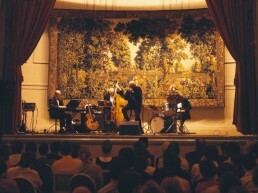 Concert Noble, Court of the Greats! 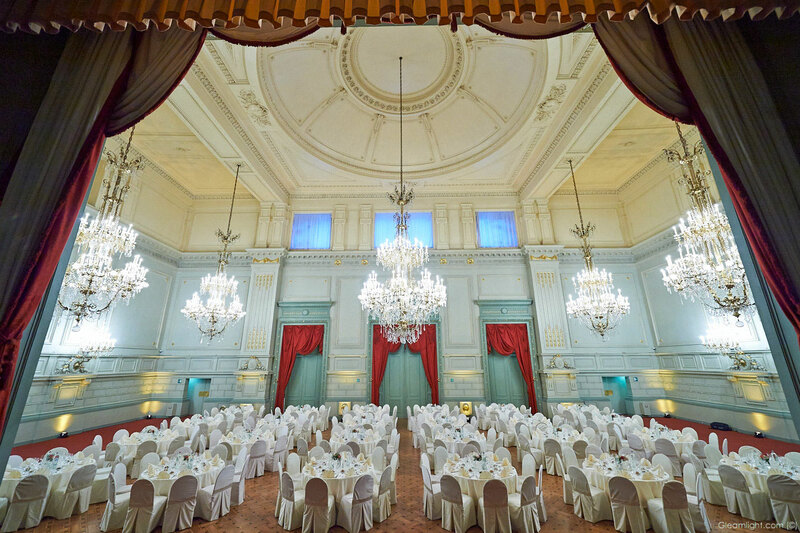 Enter this majestic venue and breathe in the perfume of lavish balls, hear the notes of grandiose concerts, and feel the pomp of royal weddings. Imagine the world’s greats who have walked on these sublime floors. King Baudouin, the Shah of Iran, Lord Mountbatten, Monseigneur Forni and the Dalai-Lama. 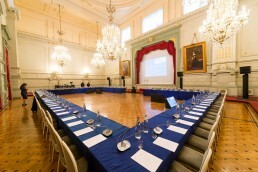 A venue dedicated to very special meetings! 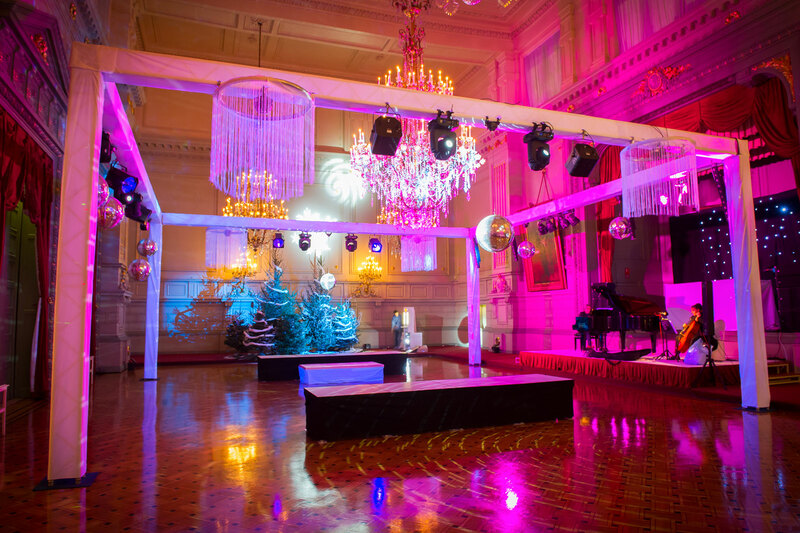 Envious of the success of musical events at the Court of Versailles, the Belgian nobility decided to imagine a musical court in the future Belgium. 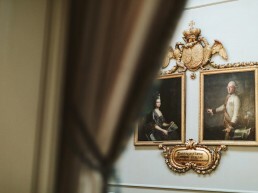 The Society Concert Noble dates back to 1785, a period in which the archduchess Maria-Christina of Austria and her husband Albert of Saxe-Teschen established a community responsible for social events reserved for members of the nobility in the Royal Park. Almost a century later, King Leopold II decided to build a dedicated monument. King Leopold II assigned the mission to architect Henri Beyaert, who expressed all his great architectural talent. He created a suite of rooms arranged in a crescendo concept – larger and brighter the further you enter, up to an apotheosis: the impressive 400m2 Ballroom with its 15m high ceilings. The Concert Noble opened its doors with pomp in 1873. Imagine those balls choreographed with elegance and fluidity under enormous chandeliers, with their chassé-croisé dances and swirling waltzes. In tandem with those sumptuous balls, Concert Noble also hosted concerts, recitals and theatrical pieces. It was the very heart of culture and fashionable life. A painful episode followed in 1940-1945 when the Concert Noble was requisitioned by occupying forces as an “Offizierskasino” and left in a lamentable state. Thankfully, after the Concert Noble Company wilted in the 70’s, the building was listed as protected heritage in 1981. 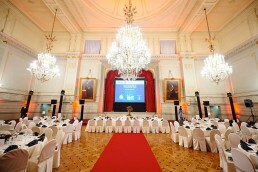 In 1982 it was purchased by Boerenbond insurance (KBC group) and the renovation was completed. Assigned to Edificio, the Concert Noble shines today with all its former pomp and ceremony. 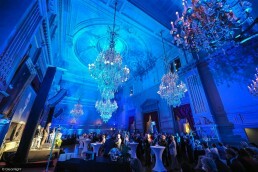 Concert Noble hosts receptions for up to 750 guests and seated dinners for up to 550 in the magestic rooms and Ballroom, which are guaranteed to elevate your event to similar grandeur. 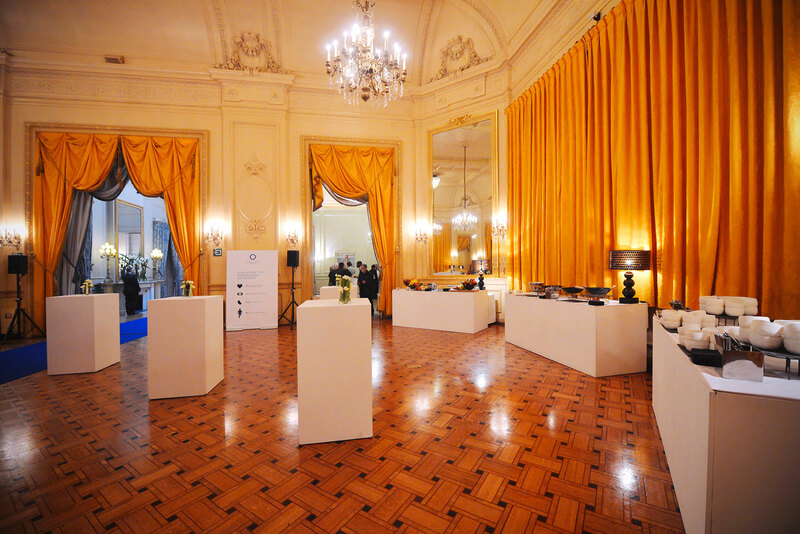 To bring this magical venue to life, Edificio propose also cultural events open to everybody, throughout the year. This is what happens at Concert Noble. Be welcome. 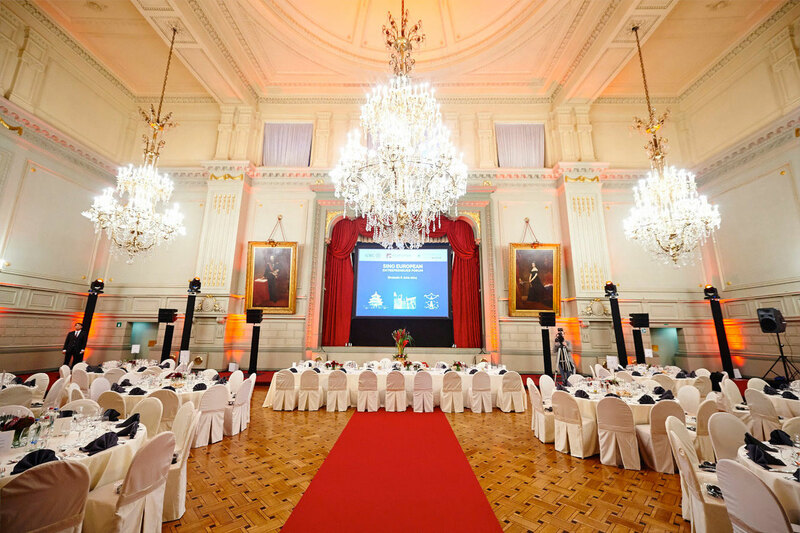 Located in the heart of Brussels, the Concert Noble offers its sumptuous rooms and advanced facilities for all types of events: dinner dances, congresses, concerts, fashion shows, conferences, and many more. 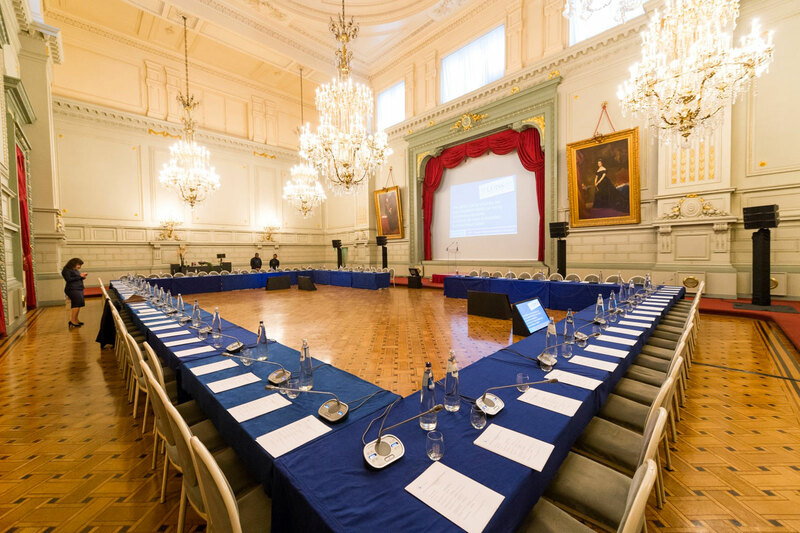 Just imagine what you can achieve in this venue. The entire venue (800m²) or part of it is available to organise your event. 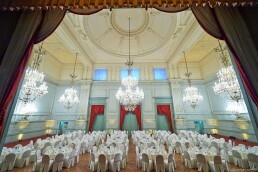 The sumptuous Ballroom can host up to 600 guests for a reception and 420 for a seated dinner. Concert Noble is easily accessible via public transport. Car parks are located nearby – ask Edificio’s team about special rates available.